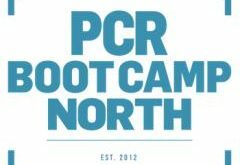 PCR Boot Camp will take place on Thursday May 14th at Whittlebury Hall in Northamptonshire – and ahead of that rapidly approaching date, here’s a recap of the conference schedule. All you need to do attend is sign up here. Each delegate will be given a Philips OST690 10 Bluetooth Boombox to take home worth nearly £100. You also get a full day of conferences, networking and getting your hands on new product at the afternoon expo, as well as a free lunch and dinner, free parking and reduced rates for overnight accommodation. Nicola Young, Microsoft’s OEM channel sales lead will deliver an welcome speech and discuss some of the pressing issues in the UK channel. Ranjiv Dale and Megan Moore deliver vital sales statistics to help you understand which markets are in rise and which are in decline. 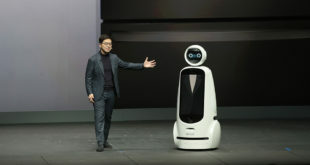 As well as analysing the current state of the IT market and what direction it is going, they will pick apart the figures for more emerging sectors like wearables, the smart home and the internet of things. Panal session: Have you been selling tablets wrong? When you hear tablets, you probably think of consumers playing Angry Birds on the couch. But there is an array of sectors and audiences you could be selling into, even if you haven’t done that traditionally – including engineers, warehouses, salespeople,restaurants, and schools. Our expert panel discusses the latest developments in tablet technology and where the opportunities lie. Are you on board with the 21stcentury workplace? Steven Hastings, IT Distribution Channel Director at Rocoh, gives a break down of the cutting edge trends. 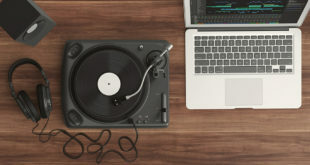 Not so long ago selling into offices was all about photocopiers, ink jet cartridges and fax machines – but being clued up on the latest developments in BYOD, remote learning, and document security to name but a few is now vital for resellers selling into businesses. From repairing mobile phones, laptops, or even hair straighteners, to diving into the big world of managed services, PC dealers need to stay nimble and adaptive in the continually changing tech market. A line up of IT resellers and retailers discuss how they have moved into new, and perhaps unexpected, markets to boost revenues. Male will speak about the biggest trends to come out of CeBIT in Germany, the leading show for digitization, and discuss differences in the UK and European tech industries. Next How much does tech figure on the radar of the party manifestos?